The 2016 East Coast Family Conference kicks off the afternoon of Friday, March 11, with a reading and book signing by actress and author, Kathryn Leigh Scott. Her recent book, Last Dance at the Savoy: Life, Love and Caring for Someone with Progressive Supranuclear Palsy, is an intimate memoir of caring for her husband, Geo Miller. 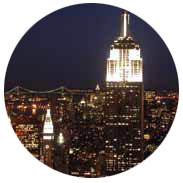 A full-day of presentations follows on Saturday, March 12, opening with CurePSP President, Dave Kemp and Dr. Wai Haung Yu, Columbia University Medical Center. For the complete agenda, visit www.curepsp.org. 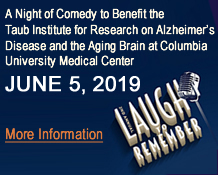 The Taub Institute for Research on Alzheimer's Disease and the Aging Brain at Columbia University is once again recruiting participants to join "Team Taub" for the annual WALK TO END ALZHEIMER'S this October! This great family event benefits the Alzheimer's Association, the world's largest voluntary health organization in Alzheimer's care, support, and research. The Taub Institute for Research on Alzheimer's Disease and the Aging Brain at Columbia University is once again recruiting participants to join "Team Taub" for the annual WALK TO END ALZHEIMER'S this October! This great family event benefits the Alzheimer's Association, the world's largest voluntary health organization in Alzheimer's care, support, and research. Last year, Team Taub was able to raise $10,345 and we hope to do even better this year! BRAIN AWARENESS WEEK 2014 EVENTS: Come be braiNY! 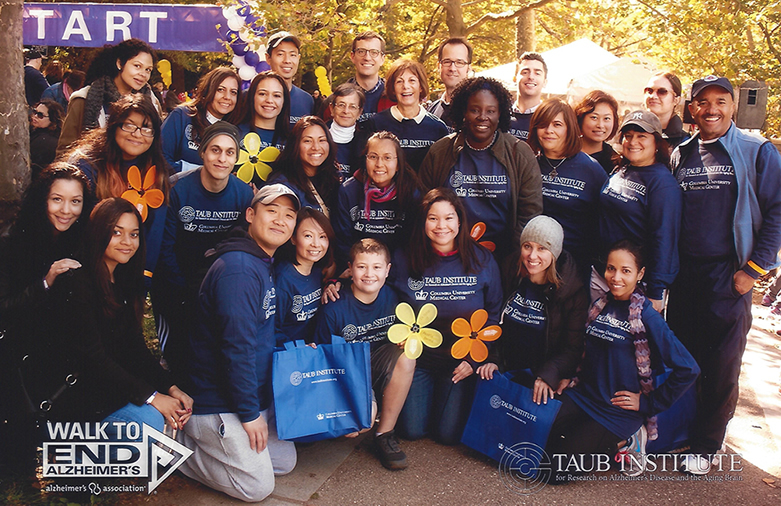 Thank you to the Taub Institute Team and all participants and supporters of the Alzheimer’s Association 2013 Walk to End Alzheimer’s event! The Taub Institute for Research on Alzheimer's Disease and the Aging Brain at Columbia University is once again recruiting participants to join "Team Taub" for the annual WALK TO END ALZHEIMER'S this October! This great family event benefits the Alzheimer's Association, the world's largest voluntary health organization in Alzheimer's care, support, and research. Last year, Team Taub was able to raise $14,232 and we hope to do even better this year! 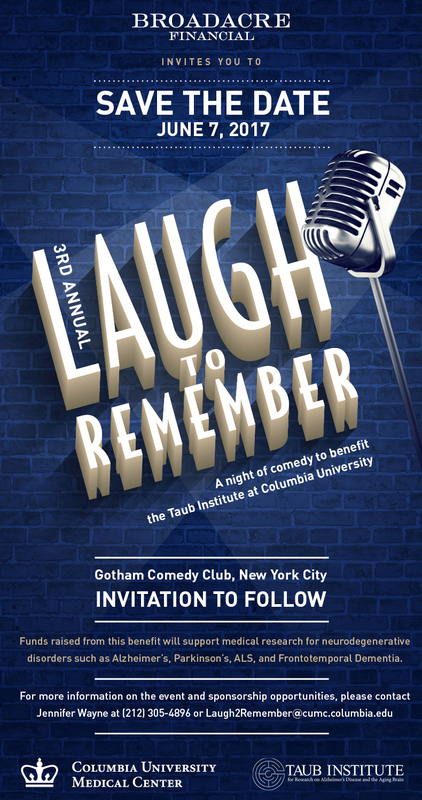 Please visit http://act.alz.org/goto/TeamTaub to join Team Taub or to make a donation. 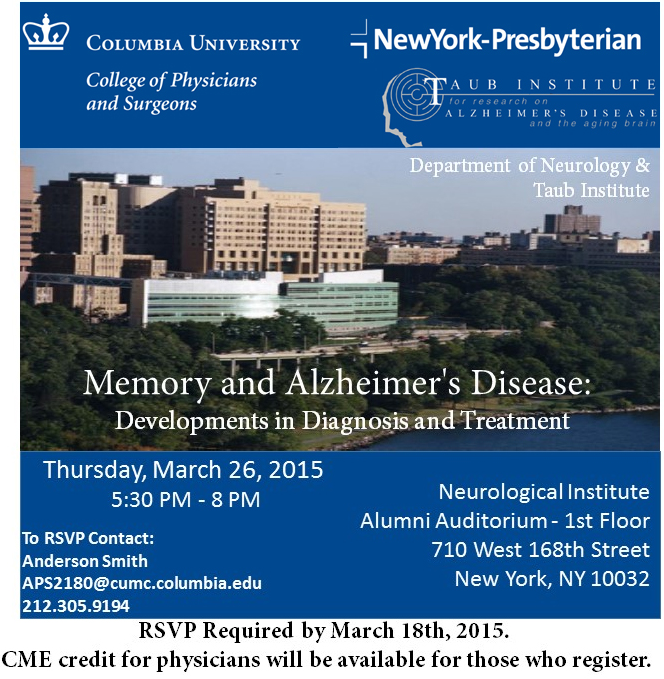 For more information about Team Taub, you may also contact Arelys Rocha at amr2191@columbia.edu. Join the Taub team this year in the annual Walk to End Alzheimer's. Together, we can end Alzheimer's disease, the nation's sixth-leading cause of death. When you participate in the walk, your fundraising dollars fuel our mission-related initiatives of care, support and research. In addition, your actions, both through fundraising and participating in the event, help to change the level of Alzheimer's awareness in our community. Please take a moment to sign up, follow this link to our personal team page to support and donate to the local Alzheimer's Association NYC Chapter. 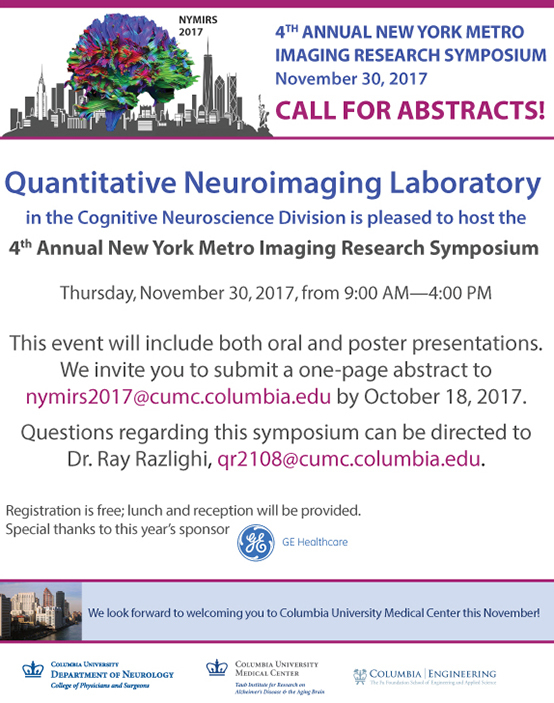 If you would like to participate or make a donation, please contact Arelys Rocha at amr2191@columbia.edu. 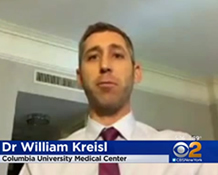 Hear from a panel of experts, including Columbia's Chairman of Neurology, Dr. Richard Mayeux, and Genetic Counselor Jennifer Williamson, about the role of genetics in Alzheimer's disease, including how genetics is influencing diagnosis and research today. "Is it Alzheimer's Disease or Frontotemporal Degeneration? An Update on Diagnosis, Management, and Research,"
5,280 feet in a mile, a two mile walk. Let's raise a buck a foot. Team goal, $10,560!!!!!!!!!!!!! "Exploiting the diversity of the chaperone repertoire to treat diseases of aging"
"Receptors in Dementia: Sortilin in FTLD and Prion Protein in Alzheimer's Disease"